Multimill (PBXMM) is widely used for wet and dry granulation, pulverization in pharmaceutical, chemicals etc. It operates on the principal of variable force swing beaters having both knife and impact edges rotating within a selected screen to get the required reduction. Material fed in the hopper passes down to the processing chamber where it moves to the periphery and passes through the screen radially and tangentially. Finally the processed material gets collected in the container kept below the processing chamber. 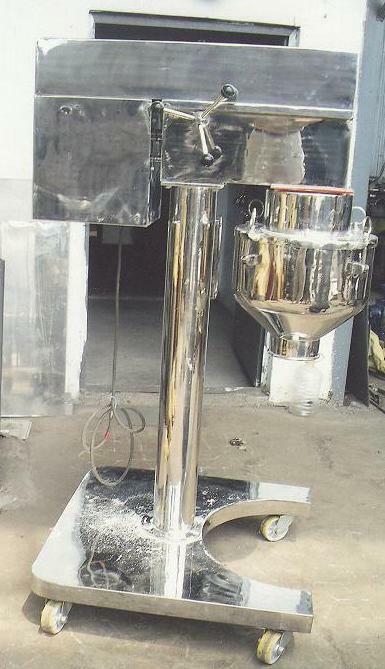 Out put and quality of the product depends on three factors: Shape of the Beaters, Speed & Screen.